The Seven Laws of Noah (Hebrew: שבע מצוות בני נח‎‎ Sheva Mitzvot B'nei Noah), also referred to as the Noahide Laws or the Noachide Laws (from the English transliteration of the Hebrew pronunciation of "Noah"), are a set of imperatives which, according to the Talmud, were given by God as a binding set of laws for the "children of Noah" – that is, all of humanity. According to the Talmud, the rabbis agree that the seven laws were given to the sons of Noah. Six of the seven laws are exegetically derived from passages in Genesis, with the seventh being the establishing of courts. Moses spent many years between youth and old age, working as a shepherd. At the end of this period, God asked him to go back to Egypt and set free the Hebrew people enslaved there. Moses, who had been educated as an Egyptian prince, didn’t know them. He said, “Who shall I say sent me?” God answered, “I AM! Say that I AM sent you”. The Hebrew words for I AM, are Jaweh, corrupted into Jehovah, which some accept as the name of God. Yeshua (ישוע‬, יֵשׁוּעַ‬ in Hebrew) was a common alternative form of the name יְהוֹשֻׁעַ‬ (Yehoshua – Joshua) in later books of the Hebrew Bible and among Jews of the Second Temple period. The name corresponds to the Greek spelling Iesous, from which, through the Latin Iesus, comes the English spelling Jesus. The Bible is a collection of Records, of the various happenings that where recorded for the instruction of the people later. Know the truth of those first expressions in a portion of His description, "In the beginning was the Word." And as these develop, know that is the beginning of the experiences of man in his relationships to the personality in a material world. The Tanakh consists of 24 books. The Tanakh also called the Mikra (מקרא‎), meaning "that which is read" or Hebrew Bible, is the canonical collection of Jewish texts, which is also a textual source for the Old Testament of Christians. These texts are composed mainly in Biblical Hebrew, with some passages in Biblical Aramaic (in the books of Daniel, Ezra and others). The books of the Tanakh were passed on by each generation and, according to rabbinic tradition were accompanied by an oral tradition, called the Oral Torah. The traditional Hebrew text is known as the Masoretic Text. The Bible is all one book, and it bears witness to One God Christ. It is one continuous story, the story of man and his relationship to God through the soul. It is a progressing, unfolding story of truth, and nothing in it is told at once, or once and for all. The first 5 books of the Bible together with the book of Joshua where written by Joshua the Soul of Christ. 1. Genesis, deals with the beginnings of man and covers the creation and fall of man. In the records that constitute the Book of Genesis are several events given: The Creation of the Earth, the time comprising the Creation of Adam 10,500,000 years, before the 1,900 AD, the period of the flood of Noah 28,000 BC. 2. Exodus, tells of the liberation of Israel: The events of Exodus took place in an era of 5,500 years BC. 3. Leviticus, deals with the methods of worship. 4. Numbers, deals with the disciplines of the Mosaic Law. 5. Deuteronomy, a summary of the other four books. The books of Joshua, Judges (this record of the Book of Judges was written by many many), Ruth, Samuel I (the book of Samuel I was written by several record keepers and some portions where from those original records from the Book of Judges) and II, Kings I and II, Ezra, Nehemiah and Esther are devoted primarily to the history of Israel as a Nation. This history portrays a form of dictatorship at first, followed by a rule by judges and elders, as a “government by wise men,” down to a royal line of kings. About this time we come to a fine long list of the mistakes that followed, which came about, perhaps, because too much trust had been placed in the princes and kings. The literature of Israel is summed up in the Books of Job, Psalms (part of the material which served to form the Book of Psalms comes from those Records of the time of the Book of Judges, these near that time of those activities of Joshua), Proverbs, Ecclesiastes, the Song of Solomon and Lamentations. The book of Job as an allegory or story of mankind in the aggregate, is a written record older than the book of Genesis. The Book of Job was written by Melchizedek which is the same Soul of Christ. It is not the story of any particular man at any one time or place but rather of collective man. After the literature of Israel we come to the prophets and exhorters. These are the wonderful old characters such as Isaiah, Jeremiah, Ezekiel, Daniel, Hosea, Joel, Jonah, Micah, Nahum, Habakkuk, Zephaniah, Haggai, Zechariah and Malachi. Their stories are found primarily in the books which bear their honoured names. With Malachi we come to the end of the Old Testament. The Prophets of Israel not only warned the people of impending calamity but reiterated promises of a Messiah. The prophecies told what the Messiah would be like and asserted that His own Would know Him not. Seeming complications in the coming of the Messiah were hinted at. The Gospels deal with the life of Jesus and bear out the old prophets of Israel. He was born of the house of David, of humble background, of a virgin, and was rejected as foretold. Jesus lacked all interest in a worldly career of pomp and ceremony. Instead He brought a new pattern for existence, which has outlasted all political systems of His day. The book of the Acts, which follows the Gospels, is a record of the disciples activities after the ascension, when Jesus had physically left the scene. As the apostles and their followers came together in the old meeting places, new teachers rose up among them. There was a veritable epidemic of healing miracles of all kinds with remarkable events occurring in the lives of otherwise ordinary persons. The book of the Acts shows how the early Church was begun and how it spread around the Mediterranean area. Paul, the great teacher, kept in contact with the new congregations through his Epistles, which we find indited to the Romans, Corinthians, Galatians, Ephesians, Philippians, Colossians, Thessalonians and others. Some letters were written to helpers such as Timothy, Titus and Philemon. One letter was written to the Hebrews. The book which follows is that of James (one of the brothers of Jesus, head of the church while it had its headquarters in Jerusalem before Rome became the place of the Holy See. Next come the two letters of Peter and then first, second and third John. There follows the book of Jude (Jesus other brother). The last book in the Christian Bible is the Revelation of St. John the Divine. This book was very nearly omitted from the Bible, this book is best described as a manual of discipline for the use of the individual as he seeks to understand something of the relationship to his Source through the soul. It is a roadmap, a book of instructions and a chart of the anatomy of the soul in all its relationships. Lucius of Cyrene, was the bishop of the church in Laodicea. Lucius was made - by Paul, and Barnabas - head of the church, the Mother Church; or the first church in Antioch and the first church in Jerusalem headed by the brother of the Lord, James, and Peter and Andrew. Lucius of Cyrene was known in the early portion of the experience as Lucius Ceptulus, of Grecian and Roman parentage, and of the city of Cyrene. As a developing youth and young man, Lucius was known rather as a ne'er-do-well; or one that wandered from pillar to post; or became - as would be termed in the present day parlance - a soldier of fortune. When there were those activities in and about Jerusalem and Galilee of the ministry of the man Jesus, Lucius came into those environs. Being impelled by the experiences with the followers, and the great lessons as given by the Teacher, he became rather as one that was a hanger-on, and of the very intent and purpose that this was to be the time when there was to be a rebellion against the Roman legions, the Romans in the authority. And Lucius looked forward to same; acting rather in the capacity of not an informant but rather as one attempting to keep in touch with the edicts of the various natures between the political forces in Rome and the political forces among the Jews. were to be as teachers - or among the 70. With the arousing, and the demanding that there be more and more of the closer association with the Teacher, Lucius being of the foreign group was rejected as one of the Apostles; yet was questioned mostly by John, Peter, Andrew, James and those of the closer following - as Matthew, Bartholomew; and was the closer affiliated or associated with Thomas. In those activities then that followed the Crucifixion, and the days of the Pentecost, and the sermon or teachings - and when there was beheld by Lucius the outpouring of the Holy Spirit, when Peter spoke in tongues - or as he spoke in his Own tongue, it, the message was Heard by those of Every nation in their Own tongue - this so impressed Lucius that there came a rededicating, and the determination within self to become the closer associated, the closer affiliated with the Disciples or Apostles. But when the persecutions arose, and there was the choice of those that were to act as those called the deacons - as Philip and Stephen and the others - again he was rejected because of his close associations with one later called Paul, or Saul; he being also of Tarsus or of the country, and a Roman, and questioned as to his Jewish ancestry - though claimed by Paul (or Saul) that he was a Jew. His mother was indeed, and of the tribe of Benjamin, though his father was not. Hence we find the questions arose as to the advisability of putting those in position, either as teachers, ministers or those in active service, that were questioned as to their lineal descent. And again the old question as to whether Any were to receive the word but those of the household of faith, or of the Jews. During the sojourn in Jerusalem, though, before the greater persecutions - that is, before the beheading of James the brother of John and the stoning of Stephen - here again we had a great question arise. For Lucius, through the associations with the one who became his companion or wife as ye would call, was entertained and kept by Mary and Martha and Lazarus - thus we find these again made questions. And there is often the confusing of Lucius and Luke, for these were kinsmen; and Lucius and Luke were drawn or thrown together, and with the conversion of Saul (or Paul) (as he became) they followed closer and closer with the activities of Paul. With the acceptance of Lucius by Paul, and part of those in the Caesarean church, Lucius determined - with his companion - to return to the portion of his own land, owing to the persecutions, and to there attempt to establish a church; to be the minister, to be the active force in those portions of the land. Thus we find in those latter portions of the experience he became the bishop or the director or the president of the Presbytery; or what ye would call the priest or the father or the high counsellor as given to those in the early periods of the Church; that is, the one to whom All Questions were taken respecting what ye would term in the present as theology, or questions pertaining to the laws. In such the entity as the bishop was the last word, other than that there might be the appeal from such a verdict to the church in Jerusalem - or the Apostles themselves. Such disputes brought disturbances at times, when there were the questionings especially as Paul brought into that region as to whether it was well for those in such positions to be married or not. And the declarations as made through the Corinthian and the Ephesian leaders indicate what disturbances there were; because differences arose between Lucius and Paul as well as between Silas and Paul and Barnabas and those that had become the leaders or the real ministers or the missionaries for the Church. Hence this brought into the experience of the entity Lucius disturbance between himself and his companion, because - in the first, the companion was younger in years than Lucius and to them there had been no offspring - no child. This confusion made for periods when there was the withdrawing of the companion, and the closer association of the companion with the teacher that had been the proclaimer and the director in the early experience of the Master's life Himself - or with Judy; and with Elizabeth and with Mary the Mother of the Lord. With those experiences, and with Paul's being carried on in his second and even his third missionary journey, and with Many of the things propounded by him that Lucius had declared as things that were unstable, there again - with the teachings to the companion by Judy, by the Mother of the Lord and Elizabeth in their years of maturity teaching this younger person - was brought to Lucius that which later John proclaimed; that there IS in this church of Laodicea no fault yet it is neither hot nor cold - and that for the lack of its very stand it would find condemning. Those became periods when Lucius then was thrown the closer, or drawn the closer to the companion; and with the birth of the child there were brought those periods of the greater contentment and peace in the latter days of the entity called Lucius, and a seeing of the development of those experiences. In Lucius association with Andrew, there was still questioning, for with Peter the speaker, Andrew the listener, there were disputes as to the advisability of Lucius being put into power; though in the latter portion of the experience, they were rather close associated, and Andrew was a defender of Lucius - After there was the settling between the companion and Lucius, after their separation and then reuniting. 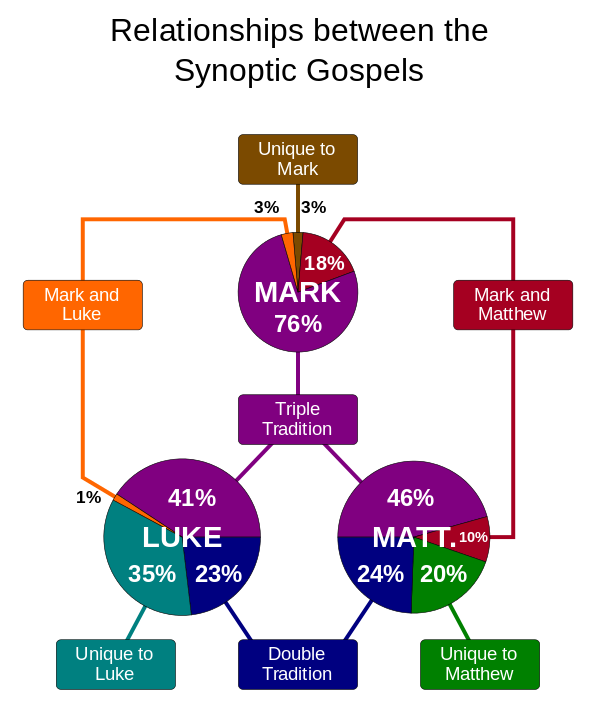 Who actually wrote the four Gospels, in what order, and where were they written? 1. Mark was first dictated, greatly by Peter, and this in those periods just before Peter was carried to Rome. 2. The next was Matthew, written by the one whose name it bears (as for the Specific reasons), to those who were scattered into the upper portions of Palestine and through Laodicea. This was written 33 to 34 years later than Mark; and while he that wrote same was in exile. 3. Luke was written by Lucius, rather than Luke; though a companion with Luke during those activities of Paul; and written, of course, unto those of the faith under the Roman Influence, not to the Roman peoples but to the provinces ruled by the Romans, and it was from those sources that the very changes were made, as to the differences in that given by Mark and Matthew. 4. John was written by several; not by the John who was the beloved, but the John who represented or who was the scribe for John the beloved; and as much of same, was written much later. Portions of it were written at different times and combined some 50 years after the Crucifixion. They that have not allowed and do not allow themselves to be directed by other influences than that of Godly-Force itself. They that are not acquainted with the familiar spirits but with the Divine. They that are meek yet proud in their meekness and their humbleness. These are they that are poor in spirit. Happy are they that have known sorrow, for their joy will be filled if they trust in the Lord. For He Is the Force, the Power, the Might that Comforts those that mourn for those things even as He wept over Jerusalem and mourned for the cities about same; yet might He not by His own power have commanded that all who would seek not to know be blotted away? Yet man's will, man's desire is that which makes him at a Oneness with the knowledge of God. And to seek and to know and to be Filled is that as comes from those who mourn over those things which they may be able to help but are powerless through the very will of others. Go to the other extreme in being kind and gentle, or, Because ye have little ye say, "I must save - that I be not in want" - but there are those who need what little thou hast! For it is indeed as has been given here. If you say, "If I were so and so - if I had this or that - O how much I would give to charity, to the needy" and give not in your present estate, you would not give any at all if you had all at your command! Then His command was as this: If what you have is taken away, give the All - that you may be Filled! For how has it been said? "That alone you give away, that do you possess." Thy Will Be Done; As In Heaven, So In Earth. Give Us For Tomorrow The Needs Of The Body. That Have Trespassed And Do Trespass Against Us. Be Thou The Guide In The Time Of Trouble, Turmoil, and Temptation. Lead Us In Paths Of Righteousness for Thy Name's Sake". This is emblematical; as indicated in that whatever influence or force draws the material mind may also draw the mental and the soul experience. What you desire and seek after mentally and spiritually, and what you desire and seek for in the material things are not Always from the same promptings; but where the heart or the treasure is, there is the desire. Hence again is the injunction given that you know in Whom you believe as well as in What you believe; so that you know whether or not thy treasure is laid in that where moth and rust doth not corrupt, and where thieves do not break through nor steal, that is in the Spirit of Truth, in the Christ, in Jesus. Unless you can be just as forgiving, unless you can find it just as easy to forget slights and slurs and things that would make afraid those who would judge others. For with what measure ye mete, it is measured to thee again. Even as He, the Master gave, the faults ye find in others are reflected in thine own mirror of life. And as He gave, "Cast the beam out of thine eye that ye may see to take the mote from thy brother's eye." Keep in that faith as of the first lesson, become as a little child, if ye will be able to be of greater service to others. One that may control self in anger is beginning the first lessons or laws of experience. One that may control self in anger, that must come as resentment in the speech of individuals, may make for that which disregards the words said; disliking that which would produce such a feeling within self, yet able to love the soul of one that causes or produces such a state of feeling. This is patience, and love, and hope, and meekness, and pureness of heart. The meek shall inherit the earth, said He, the pure in heart shall see God. They are promises! Believest thou Him? Then be angry and sin not is to know that these are thine Own promises, to thee, to thee! As given, this is the time, today, when the time draweth nigh for each soul to become more aware of the necessity of magnifying His presence through the patience borne one to, one with, one of another, that He may be glorified in us, through the promise of the Father that such will be to those that love His coming. Let each live, then, as though they Expected their concept of the Master Christ to Dine with them today. What Would ye have to offer as the fruits of thine own life, thine thoughts, thine acts, thine deeds? For, "Inasmuch as ye have done it unto the least of these my little ones ye have done it unto me." In the beginning again we would give this, that it may be clarified in the minds of those who seek to have the interpretation of The Revelation in their own experience: Know first that the knowledge of God is a growing thing, for ye grow in grace, in knowledge, in understanding As ye apply that ye Know. But remember, as has been given by Him, to know to do good and do it not is sin. In the interpretation then of the Revelation as given by John in Patmos: This was John's revelation of His experience, and interpreted in the individual by the application of the body of self as a pattern with the attributes physically, mentally, spiritually, in their respective spheres for thine Own revelation. For this to be practical, to be applicable in the experience of each soul, it must be an individual experience; and the varied experiences or activities of an entity in its relationship to the study of self are planned, builded, workable in the pattern as John has given in the Revelation. Each attribute of the body, whether organ or functioning or the expression of same, becomes then in the experience of each soul as a seeker first. Seek and ye shall find, knock and it shall be opened unto you! The Meaning of the symbol of the angel with the golden censer and the incense described in Rev. 8:3-5. As the influence is visualized in the experience of each soul by the name as implied in "angel", or the good that goes out from the individual soul in its relationships to the influences or forces about same, so is it called or given as the angel with the censer of the activities that emanate from each individual. And as has been given in other illustrations, that ye Are - that of good - rises ever as an incense, sweet before the throne of mercy. Or to take the back track, as it were, and take the angel with the censer, with the incense that is before the image of a soul seeking to become one with the Creative Forces or God - that which has been kind, gentle, patient, merciful, longsuffering in self's experience during a day, rises before the throne of the mercy seat within self to that of an incense of satisfaction. Why? Hate, unkindness, harshness, all such become as base in thine own experience, and as usual one condemns self by saying, "Why can't I do this or that?" And, "What is the use?" Well - and the censer is broken! The 7 angels described in Rev. 8-9 represent spiritual forces governing the various dimensional planes through which souls pass between incarnations on the earth. While this explanation becomes a portion of another group's study and activity in the lesson just being approached on Happiness, it may be best explained in this; as to how this must indeed be interpreted in the experience of each soul, whether considered in a material plane in which there is found the real essence of happiness or that in the interim when ye are looked over, or when the promises become more and more as has been interpreted from that given by others - to be absent from the body-physical is to be present in the grace and glory and presence of divinity; or to be those influences that make for an activity in an influence without self. Now ye are studying yourself! Do not confuse the interpretation with that outside of thyself, but Happiness is love of something outside of self! It may never be obtained, may never be known by loving only things within self or self's own domain! Then the expression that has been given by an entity in a sojourn in the earth becomes as a portion of that activity as has been given, "He hath given His angels charge concerning thee, lest at any time ye dash thy foot against a stone." Study to show thyself approved unto God, the God in self, the God in thine own consciousness - that Is creative in its essence; rightly divining and dividing the words of truth and light; keeping self unspotted from the world. And ye become lights to those that sit in darkness, to those that wander. Though ye may be reviled, revile not again. Though ye may be spoken of harshly, smile - Smile! For it is upon the river of Life that smiles are made. Not grins! No Cheshire cat activities bring other than those that are of the earth, of such natures that create in the minds and the experiences those things that become repulsive. But the smile of understanding cheers on the hearts of those who are discouraged, who are disheartened. It costs so little! It does thee so much good, and lifts the burdens of so many! Those that are of the general construction and those that are of the keeping alive physical, and those that are in keeping with the influences to the mental, to the material, to the spiritual; and the illustrations are shown in the bodily forces that are opened for those activities in a material plane. Will the body, for its own mental development, make a very close study of that book known as Revelation, in the Holy Book, and apply each indicated force In same to the Physical Body, and Understanding will come within self that will make for the directing of the mental abilities that will be most profitable, most beneficial to self And to others. As an illustration - where there is spoken of, as the book becoming bitter within the stomach when eaten, this referring to the application of that as is digested mentally Within an individual. As again when referring to those of the elders, they refer to those elements within the system, the Body, the Physical body, of the Glands of the body - for, as has been given, the Kingdom is within You! This, then; that the Spirit, the soul, the Elements of the Active forces, use those portions Of the physical body as their Temple During an earth's experience. If this is taken in conjunction with many another expression of the Master, it may be the more easily comprehended in the intellectual activities of those who would seek to experience same. As the Master gave: "Before Abraham was I Am before the worlds were I Am." Hence, when there came the necessity in the realm of the spiritual home for the coming of the Lamb into the earth for its redemption, the Truth, the light, the offering was made. Hence the expression as given. For, as has been given, the thought, the mind, is the builder. Then, as each soul builds for that it as a soul is to act, whether in spirit, in mind or in body, the Soul-mind is already in the throes of the influences necessary. Then, when we comprehend we realize there is no time, no space, and that the divinity of the man Jesus was perfect in his Own activity in the earth. For, it was offered even from the first. So, as ye gathered here; ye each have your duties, your obligations, in materiality. Ye each have your promises in your material things, if ye will but follow in the way that has been opened - that has been shown thee - that each in your own experience may be the channel for the greater blessing to thy fellow man. And, as has been given you, ye have been chosen; each one that Chooses to Do His biddings. Then, pray ye the Father that through His Son, the Christ, ye may be shown more of the light, that ye may in This day, in This opportunity He has given thee in thy experience in the material world Now, fulfill that whereunto ye have been called. For, as the Master gave: "Think ye not that ye have a promise through Abraham? or that ye are children of promise through him?, for I say He may raise unto Himself of these stones children unto Abraham." Ye are children of the promise, in Christ. Ye have - of all people - the greater right for glorying in that promise; but if ye allow selfishness, unkindness, evil thoughts, evil communications, or little worries of the day to separate you, then ye have rejected being His children - and must one day, one time, suffer that of being offered on the altar. Then, make much of this opportunity. This, as He gave: "Love ye one another - prefer one another instead of self." Know the Truth, for only truth is of God. That each may interpret this to his own comprehension is rather that each becomes aware of the power of the Father in His manifestations in the earth. When it is considered (as was later given, or Written even before this was written) that "a thousand years is as but a day and a day as but a thousand years in the sight of the Lord," then it may be comprehended that this was coloured by the writer in his desire to express to the people the power of the living God; rather than a statement of six days as man comprehends days in the present. Not that it was an impossibility; but rather that men under the environ should be impressed by the omnipotence of that they were called on to worship as God. This has passed through many hands. Many that would turn that which was written into the meanings that would suit their own purposes, as ye yourselves often do. But if ye will get the spirit of that written there ye may find it will lead thee to the gates of heaven. For, it tells of God, of your home, of His dealings with His peoples in many environs, in many lands. Read it to be wise. Study it to understand. Live it to know that the Christ walks through same with thee. have been called - and ye have a work to do.